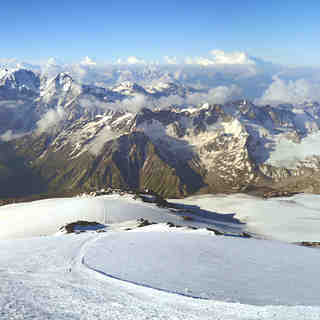 The Mt Elbrus ski area is located on Europe's highest mountain with ski lifts situated above the Bacsan valley, where Prielbrusye is one of the largest holiday centres in southern Russia. 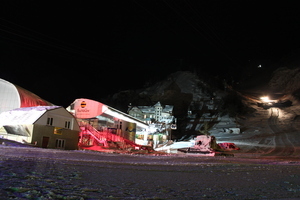 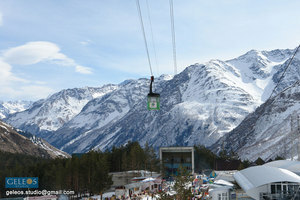 The Mt Elbrus ski area itself is so high that skiing continues year round, with the upper slopes reached by snow cat. 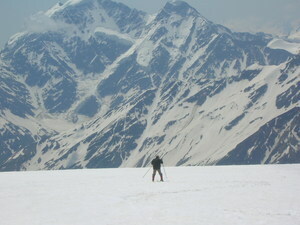 Low cost heli-skiing is also available on Mt Elbrus and is another draw for international clients. 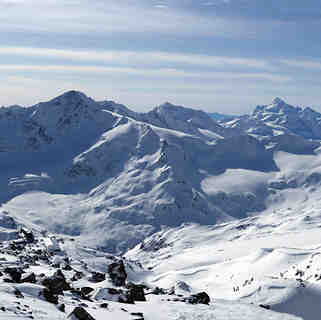 The fixed lifts serve 35 km of marked and groomed trails.